Start The EURO 2016: A “Critical Juncture” for European Politics and the EU? This summer, right now, many of us watch the EURO 2016 (ok, we all know that the Elftal didn’t make it, but still…). It is Europe’s largest and arguably most important quadrennial sporting competition. The majority of EU member states qualified for the final round in France (16 out of 28). And so did autocratic countries like Russia, which is in conflict with the EU and subject to international economic sanctions due to its violation of international law in the Crimea and intervention into other parts of the Ukraine. On the pitch, sporting representatives of all nations peacefully compete for glory; well, for the most part they do. Indeed, on a European continent shaken by crisis after crisis in recent years, this international football tournament may serve as a welcome distraction from Europe’s current troubles. Yet the EURO 2016 in France, a country struggling economically and politically right now, may also be much more than that: in light of significant problems, conflicts, and wars near the EU’s borders, the EURO epitomizes European hopes for a common project larger than the competition itself. At the same time, the EURO 2016 might also embody the many risks, insecurities, and fears which have taken hold in contemporary Europe. 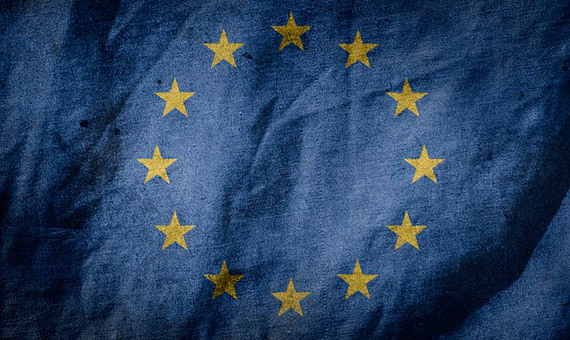 There can be no doubt that the European Union and Europe at large have seen better days. Some argue Europe is slowly disintegrating, others say that we should give up the European idea altogether. The challenges are undoubtedly many. The combination of these challenges requires crucial decisions by European politicians and policy makers, as the EU may well be at a crossroads defining its institutional fate or—to use a social science concept—be at a “critical juncture.” Following Ruth and David Collier, the concept of “critical juncture” points to particular, contingent decisions at a specific moment in history. They set in place a special trajectory of political and institutional development—one that is subsequently difficult to reverse (path dependence). There are indicators that the decisions or non-decisions this year in relation to Europe’s major challenges will determine the path of the EU’s political and institutional future. And, I argue, what happens at the EURO is very much a part of that. Some of the challenges are interrelated. First, the sovereign debt and overall economic and financial crisis are lingering on in many European countries. Lacking a comprehensive economic and fiscal reform, this seems to have turned into a ‘permanent crisis’ reinforcing structural inequalities between individual states—as well as broadening socioeconomic cleavages between the wealthy and the poor across the continent. Unresolved is, second, the migration crisis, for which the EU and its member states have been utterly, indeed shamefully unprepared. Most states have failed to create comprehensive immigration and asylum policies in the decades before the civil war in Syria and recent mass migration. Approaches and thresholds also still vary greatly from country to country. If we leave the delusional “zero immigration” policy aside, which was the EU’s official policy for years in ignorance of actual migration movements, attempts at developing and coordinating joint policies on the EU level are also still missing. The refugee and migration crisis is, third, related to a terrible war raging in Syria, close to the European borders. According to the UN, the war has cost over 400,000 lives. The EU and its members have done little to address the situation, let alone find remedies. And let us not forget that fourth, to the East of the EU Russia and Ukraine, both of which qualified for the EURO and could possibly meet in the final, are still in a military conflict since Russia’s illegal occupation of the Crimea. Meanwhile fifth, just after the group stage of the EURO 2016, in which England participates with high hopes, on June 23rd citizens of the UK—the EU’s third most populous state—decide in a referendum whether Britain should leave or remain in the EU. The outcome is going to be a very close call, and it could be either an important lift or another huge punch into the stomach for the EU, putting its very future at risk. Sixth, there is the resurgence of anti-European, populist and radical right movements and parties. Striking examples are Hungary and Poland, where right-wing populist parties are now ruling. But even in Germany we see the rapid rise of the nationalistic Alternative for Deutschland—in a Western democracy where, for good reasons, radical right parties had no significant national electoral fortunes since the founding of the federal republic, built on the ashes of the genocidal Nazi regime and its crimes against humanity. These parties and movements tap into the EU’s current political and institutional failures and the EU’s partly technocratic and partly undemocratic liberalism. They instigate and politically mobilize anxieties and resentments among those who feel disenchanted with the EU and Europe’s liberal democratic constitutions, rights, and policies—advancing illiberal democracy of a presumed ‘silent majority’ instead. Seventh, there is the serious threat, and justified fear, of Islamist terrorism—it is the political issue right at the center of the EURO 2016. The terror attacks in Paris and Brussels and their aftermath have demonstrated how unprepared national governments have been in dealing with Islamist milieus, infrastructures and threats, which have long been underestimated in France, Belgium, and by the EU. Crisis upon crisis. Now, in the midst of it all, there is the EURO 2016. But what is going to be the EURO 2016’s political meaning and impact in light of these tremendous challenges and troubles? I argue that the EURO 2016 will be more than just a distraction: it will serve as a mirror of the state of European affairs, as much as it can be an independent factor influencing or shaping the EU’s future destiny. France, the host of the tournament and a founding member of the EU, is at the center of the European crisis at this very moment. While the “Grande Nation” is hardly going to leave the EU, most of Europe’s difficult issues are on display: the country is in a deep economic crisis, and major labor unions have called for strikes against labor reforms proposed by President Hollande. The country hardly comes to terms with the situation in its banlieus and now faces the challenge of new migration from the Maghreb—while one of France’s top player, Karim Benzema, has not been called to the national team and subsequently charged its manager with racist exclusion. The right-wing populist Front National led by Marie Le Pen is leading in the polls, fostering the overall political crisis; and France, with its homebread and imported Islamist milieus, has been subjected to more terrorist attacks than any other European country—culminating in the Paris attacks killing 130 people last November. Islamist extremists have signaled more than once that a public mass event like the EURO is a prime target. Some experts have suggested that this is the most dangerous football tournament in history. Security is high but President Hollande has warned that there may be terrorist attacks during the EURO, and this would be terrible. New terror acts could also deepen the European crisis and further undermine the morale of its citizens and the European project. However, the EURO 2016 represents not only another challenge, it also is an opportunity. We should not overestimate what sports, and in particular mega sports events, can do to solve international political and economic problems and conflicts. Yet an effectively organized and successful tournament may help bringing Europe together again. Football competitions like this arguably constitute the only genuinely functioning European public sphere. Football, not English, is Europe’s true lingua franca. Almost everyone speaks some of it, almost all take notice, many care. It is cosmopolitan and inclusive, i.e. not based on ethnically exclusive ideas. In this day and age, the national teams epitomize European progress: they represent cultural diversity—at least all those teams which are successful—and thus finally reflect that we live in immigration countries. Symbolic politics matter. Countering the current European narrative that the powerful always get it their way, football is meritocratic in nature (at least if the referees do their job right), and it gives small nations the chance to excel and win against the European power-houses. Nothing would serve Europe—and the EU, for that matter—better than a successful tournament during which those of us who love football can focus on what is happening on the pitch. Such an event can serve as a cultural and political unifier or booster, and has done so—for better or worse—in the past. It could be an encouraging signal to Europeans: that “Europe” still works as a community representing democratic and social values, freedom and liberties, equality and diversity, and allows for multiple identities; that balancing these shared values with domestic security is possible; and that a European spirit of cooperation and competition can still achieve great things. Moreover, it could in the end turn out to be especially beneficial that the EURO 2016 is in France—if the country overcomes its pressing current challenges and manages to successfully host the event against all odds. If the EURO remains peaceful, France and Europe may be able to show that it is capable of reconciling liberal European principles and rights with effective security, and tackling the Islamist threat. And if France’s very diverse national teams unifies and succeeds, it may send a powerful message against racism and for a cosmopolitan, inclusive France. The EURO 2016 could hereby also put on display and enhance the EU’s “soft power” (Joseph Nye): the cultural attractiveness of its democratic, multi-cultural democracies against all kinds of anti-democratic resurgences in Europe and around the world, let this be authoritarian regimes, xenophobic movements, aggressive ethnic nativisms, and Islamist counter-cosmopolitans. The European Union is struggling and in crisis over its fundamental values, economic stability and justice, transnational identity, and domestic and international security. Its institutions, actors and governance have yet to offer persuasive policy regimes in the face of these challenges. As the European Union finds itself at a critical juncture with regard to its future as a polity—and possibly as a comprehensive organization of free, democratic, diverse and secure societies—the EURO 2016 is squarely placed at this historic moment: Europeans will have to make important decisions and take action about their future. European politicians need public support for that, or they will see the European project and its democratic foundations crumbling. A successful EURO 2016 could facilitate a revived European spirit and “soft power” of European democratic culture. It could also be a factor in the search for sound, robust and just public policies, and help pushing for respective self-conscious decisions that transform the current ‘republics of fear.’ In many ways, sports are a place for social inclusion, a universal language and a European lingua franca that can help engender the European public sphere and European democracy. Its enemies attack its freedom, social values, and culture of joy and life. Especially the terrorists want us to be intimidated and not to celebrate the joy of life in sports. If we sacrifice our freedom, then they succeed. However, sporting events are a key public arena where these conflicts are displayed, including conflicts about the future of liberal democracy in Europe. Will this EURO 2016 go into the historical record as a peaceful sporting competition that weathered its many obstacles? Will France succeed in hosting this European mega event? Will Europe seize the opportunity and truly come together this summer? Be sure to watch and stay tuned. Lars Rensmann is Professor of European Politics and Society and the Chair of the Department of European Languages and Cultures at the University of Groningen. He is the author of Gaming the World: How Sports are Reshaping Global Politics and Culture (Princeton University Press, 2010, with Andrei S. Markovits).